I've been gearing up for a trip north to be part of the 2017 Solar Eclipse. 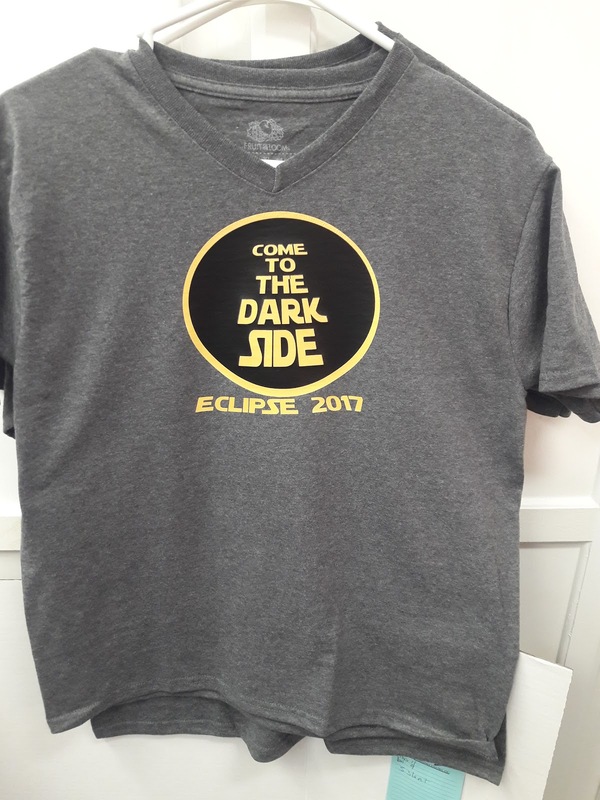 We're going to a town that will experience totality. We have our glasses for viewing and I just had to make the grandkids some shirts! I had a lot of fun designing them. The older boys wanted the Star Wars themed shirts. 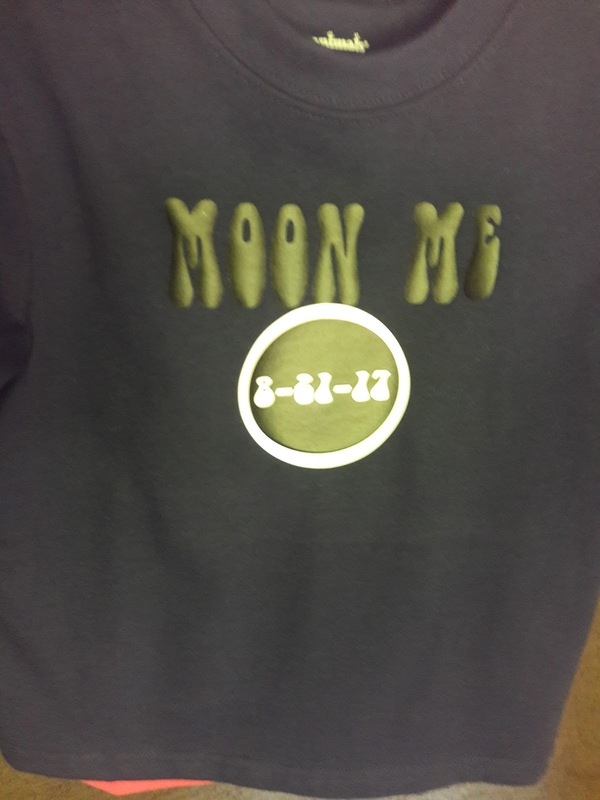 These were made with a yellow metallic and black htv. 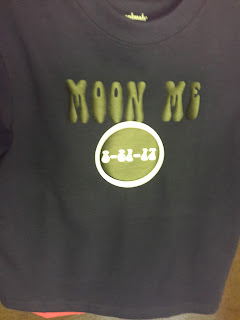 This little shirt was made with black and glow in the dark htv. This shirt was made using vinyl adhedive and deco foil. 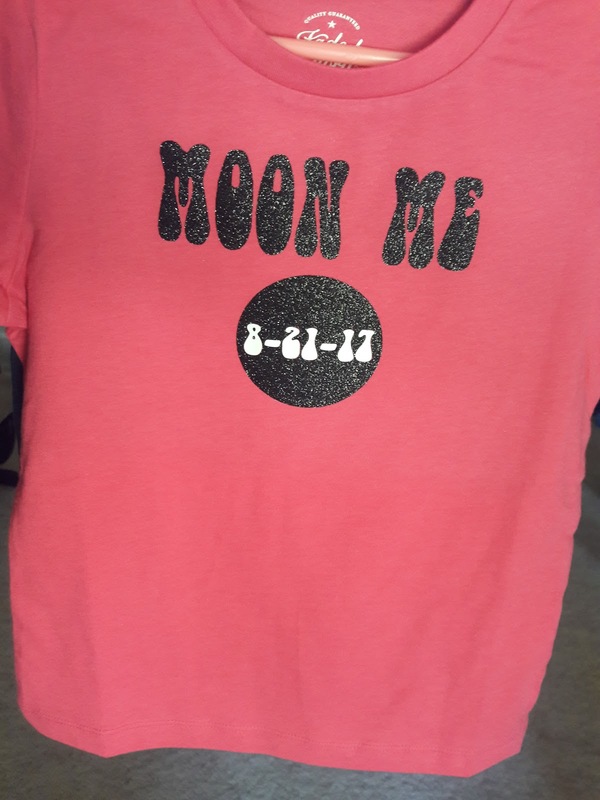 And finally we have glitter htv and glow in the dark . 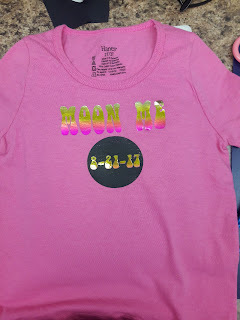 This was a fun and fairly quick project using my Sizzix eclips 2 and my 15x15 heat press.